ESTERO, FL- The Jr. Everblades announced today the kick off to the start of the annual fundraising season for the upcoming hockey year. One feature item is the JEB Advertising Book that will be distributed throughout the upcoming season at Germain Arena. 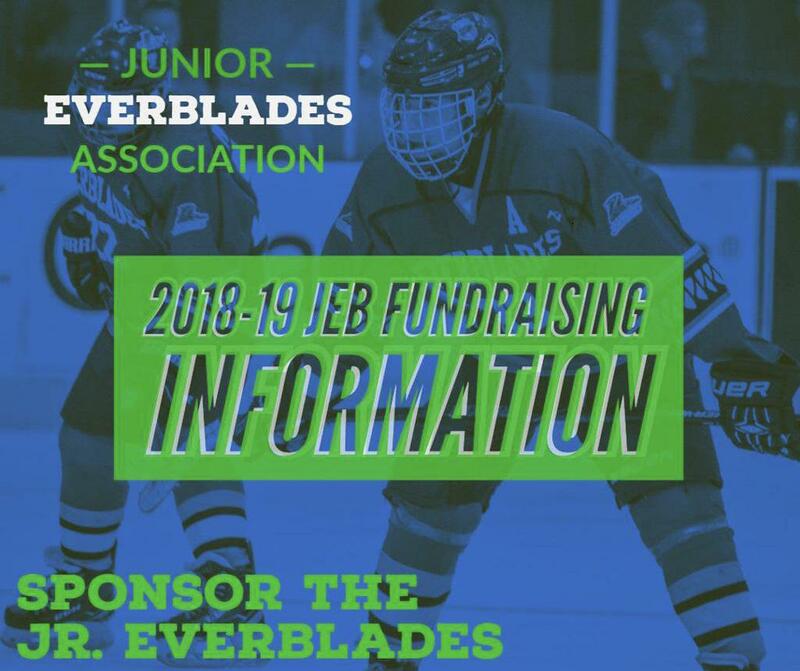 Jr. Everblades families have the opportunity and are encouraged to participate in fundraising and by doing so the Jr. Everblades Association will apply up to a 50% ad credit to the player’s tuition cost on each ad sold. The deadline for payment and artwork is October 19th, 2018. The advertising commitment form can be downloaded by clicking below. For more information on advertising opportunities please contact Cz DiRosario, Ad Program Coordinator at Flamingo4955@yahoo.com or 239-248-3068. Please continue to visit JrEverblades.org for more information and updates. The Jr. Everblades Hockey Association will stress the principles of good sportsmanship, leadership, teamwork, respect for authority, the fundamentals of ice-skating, and the elements of hockey. Although winning is a desired outcome of this program, positive team and individual development, as well as instruction of good sportsmanship to the participating youth, will not be sacrificed to the goal of winning. ©2019 Junior Everblades Hockey Association / SportsEngine. All Rights Reserved.